The Worksafe Licence to Perform High Risk Work Training is delivered at your site at convenient times and days that suit business requirements. Delivered on site via Prior skills verification Power Point presentation, Student Study guides, Pre Assessment activity books, Practical driver training, Assessment using Mandated Worksafe Assessment methods. Racking or the ability to stack loads to greater than 75% of forklift lift height which is found on the Forklift data plate. 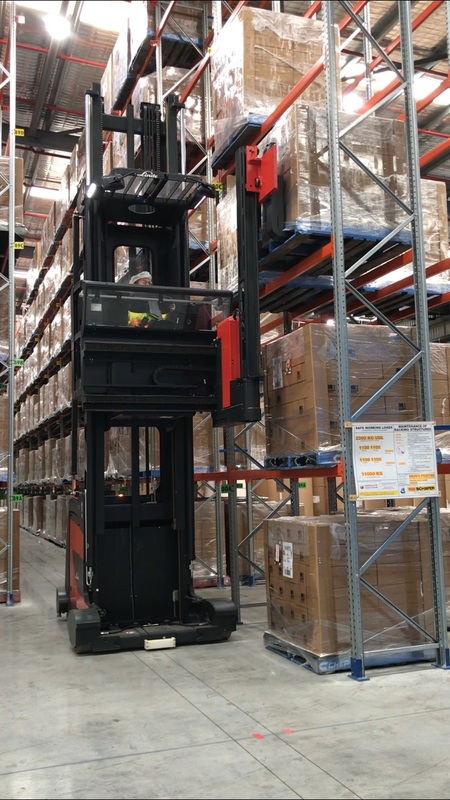 Eg forklift lift height on data plate is 5m then racking or ability to stack loads to a minimum height of 3750mm (based on the lift height of 5m). If your data plate has a lift height of less than 5m then this is not a problem we just have to be able to lift to a height of no less than 75% of whatever it says. A Forklift that is in good condition and to Australian Standards with an operators manual. 3 working loads all to be a minimum of 250kg (Pallets with stock on them or stillages / cages that can be stacked or racked). Factory / yard space that is clear of floor obstructions and vehicles. Can be a combination of inside or outside. A quiet room with large table and chairs. Trainee must have a Safety Vest and Safe shoes. Order Picker assessment requires movement of pallets, not picking individual items off pallets.